Attack 1 : Team inhale/STAR!! They ALL INHALE and copy both abillities! 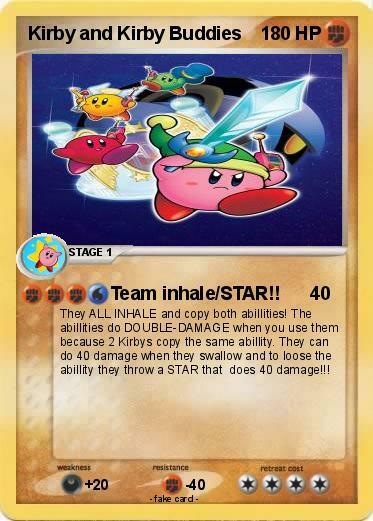 The abillities do DOUBLE-DAMAGE when you use them because 2 Kirbys copy the same abillity. They can do 40 damage when they swallow and to loose the abillity they throw a STAR that does 40 damage!! !